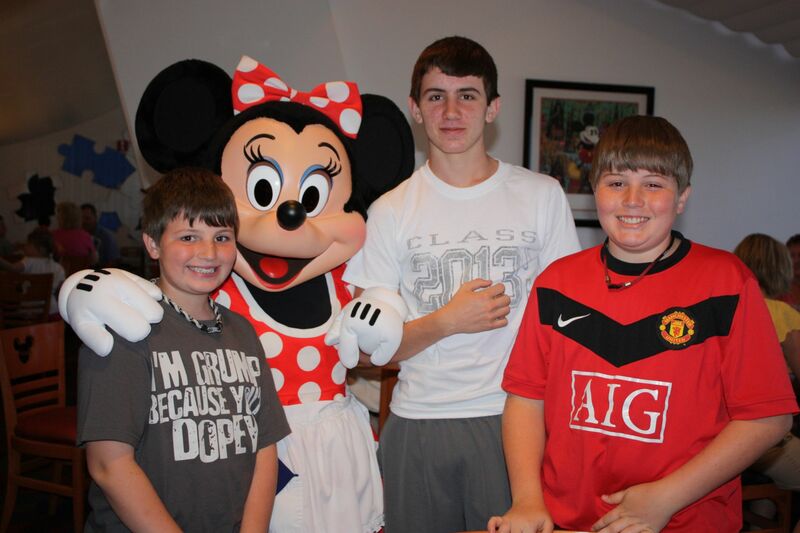 Why do we like Chef Mickey’s? Two words: Character interaction! And food. Ok, three words…character interaction and food!!! 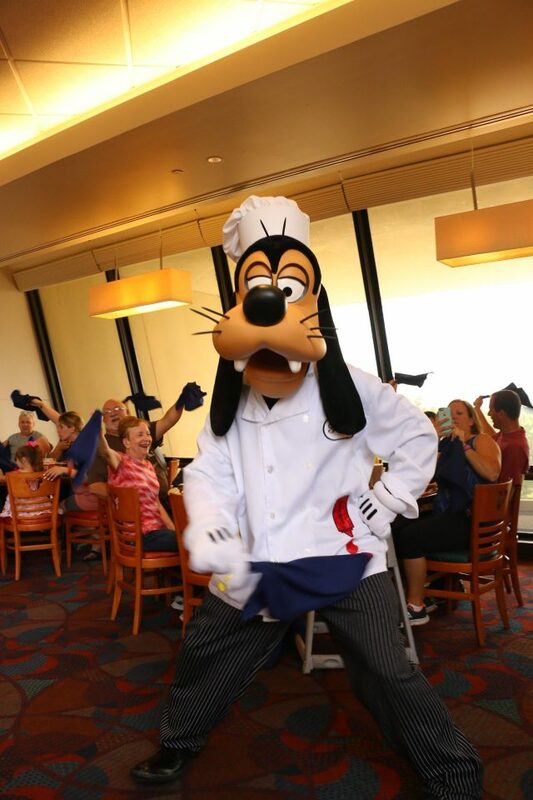 Chef Mickey’s has some of the best character interaction you will find at any restaurant in Disneyworld. At all character meals the characters will visit your table, sign autographs and take pictures. 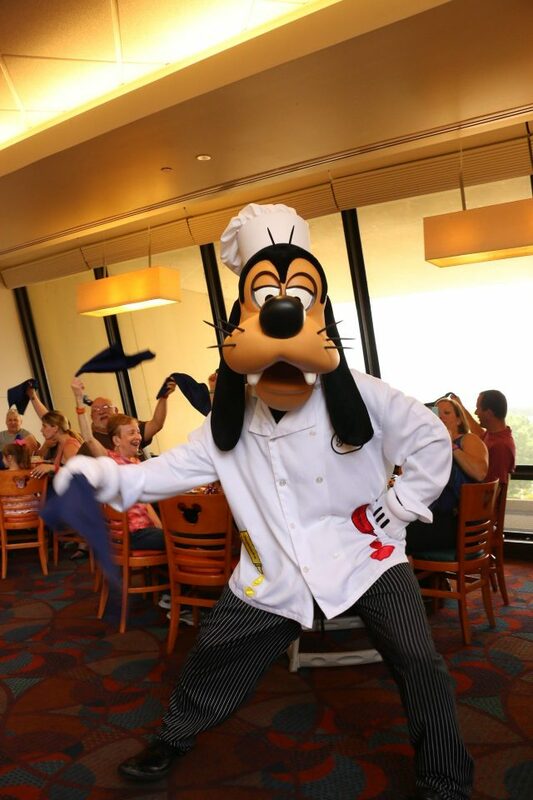 The characters at Chef Mickey’s also do fun poses, dance around waving napkins having a fabulous time. We always visit for breakfast and the characters are way more awake than we are! I love these pictures of Goofy dancing around! Another thing we love about Chef Mickey’s is the food! Chef Mickey’s serves breakfast, brunch and dinner. We always visit for breakfast and my personal favorite is the Mickey waffles. They are so, so good! It’s full buffet for all three meals with many choices for all meals. For breakfast, some offerings are Mickey waffles, scrambled eggs, omelets, breakfast meats, breakfast potatoes, fruits and more. For brunch, offerings include smoked salmon, smoked trout, fruits, cheeses, ham and cheese frittata, cheesy potato casserole and more. Dinner offerings include salad, soup, various fish and chicken dishes, veggies and several desserts. How Much Does Chef Mickey’s Cost? Breakfast: Adults and children age 10 and up are $36.01 to $42.46. 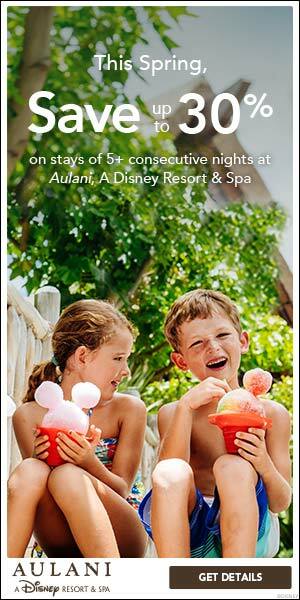 Children age 3-9 are $19.10 to $23.29. Brunch: Adults and children age 10 and up are $36.01 to $42.46. Children age 3-9 are $19.10 to $23.29. Dinner: Adults and children age 10 and up are $$45.53 to $52.05. 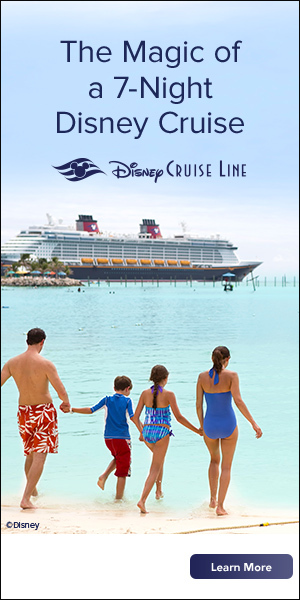 Children age 3-9 are $25.23 to $29.55. 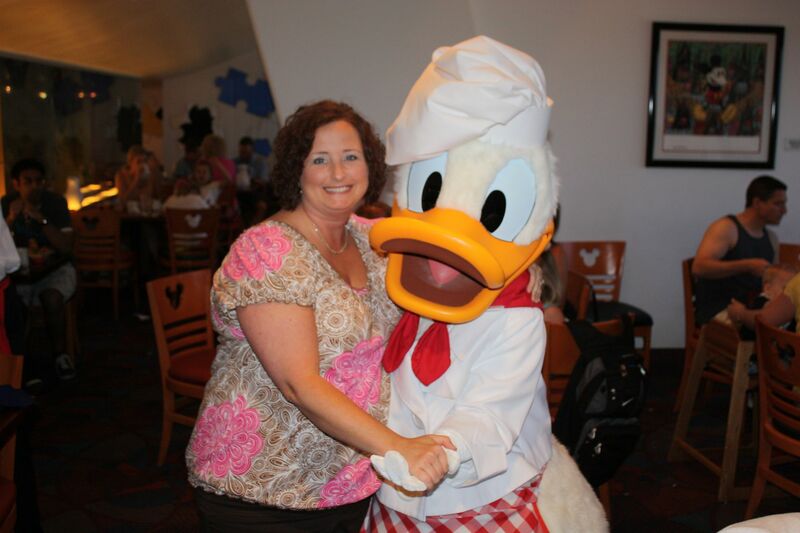 Chef Mickey’s is a fabulous character meal that is fun for kids of all ages, even those of us that are kids at heart! 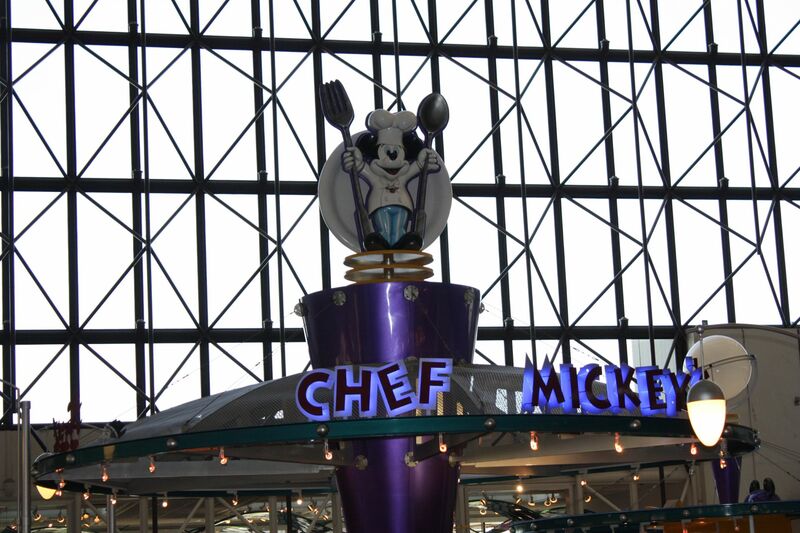 If you would like more information about how to visit Chef Mickey’s on your next Walt Disney World vacation click here.